Hanoi (VNA) - Creating encouraging polices and a clear legal system is crucial to attracting investment to innovative start-ups, according to a Ministry of Planning and Investment (MPI) official. Dang Huy Dong, Deputy Minister of Planning and Investment, said that currently, guidelines on the establishment, management and funding and investment mechanisms for small and medium enterprises (SMEs), including creative firms, are prescribed in Article 18 of the SMEs assistance law. However, bar Article 18, Vietnam’s legal system has no specific regulations on creative start-ups’ investment procedure, legal status, organisational structure, rights, responsibilities and obligations of related parties. Therefore, a decree should be issued to define the legal status of innovative start-ups and investment funds, as well as incentives for and limitation on these entities’ profit-generating means and social impact, and at the same time address the legal system’s limitations in the matter. The MPI has begun drafting such a decree, aiming to establish foundations for innovative start-ups and exempt them from corporate income tax for a definite period of time. The draft is now undergoing consultation, with its 40 articles based on experiences from developed countries such as Canada, the US, Singapore and the EU, stated the Enterprise Development Agency under the MPI. The draft features detailed provisions on the financial conditions of creative start-up investors and principles of innovative start-up investment, plus regulations on these companies’ legal status, management, operation and establishment procedures. The draft proposes that individual investors must meet certain financial conditions, such as having an average annual income of 200 million VND (8,900 USD) for the last two years before their investment application, or having total assets of 500 million VND (22,250 USD), minus their personal debts. For investing organisations, total required assets in their latest financial report must be no less than 1 billion VND (44,500 USD). Additionally, creative start-up investors, enterprises, organisations and individuals must stay aware of their contributed capital proportion and their legal responsibility in combating money laundering in Vietnam. 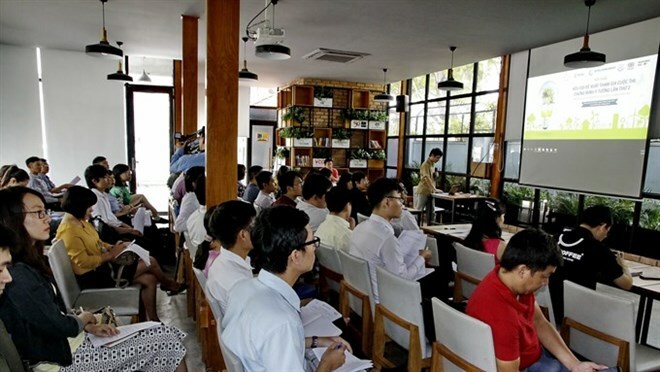 The ministry hopes the draft will create an appropriate legal corridor to channel capital for start-ups in Vietnam, by generating more options for investors to make investments through innovative companies and funds. Dong also commented that if foreign creative projects are registered in Vietnam, they would be incorporated into the country’s creative development, contributing to the improvement of national credit rating and investment attractiveness. In the context of rapidly developing technology, creative start-ups are the main force of the innovative ecosystem. Though associated with high-risks due to the high requirements of technology and innovation, creative start-ups can contribute great economic value and enhance national competitiveness. Given the high-risks involved with these firms, traditional funding channels such as bank loans are less suitable than start-up ventures as a source of funding. The Government should also issue policies to support start-ups investment activities, such as tax exemptions and reductions, pre-financing, counterpart funds, or unsecured lending for start-ups to minimise risk to private investors.